With the untimely death of her computer, Kelly of Tuxarina put out a call, and I was very happy to pitch in with some nails that have been on my to-do list for way too long. 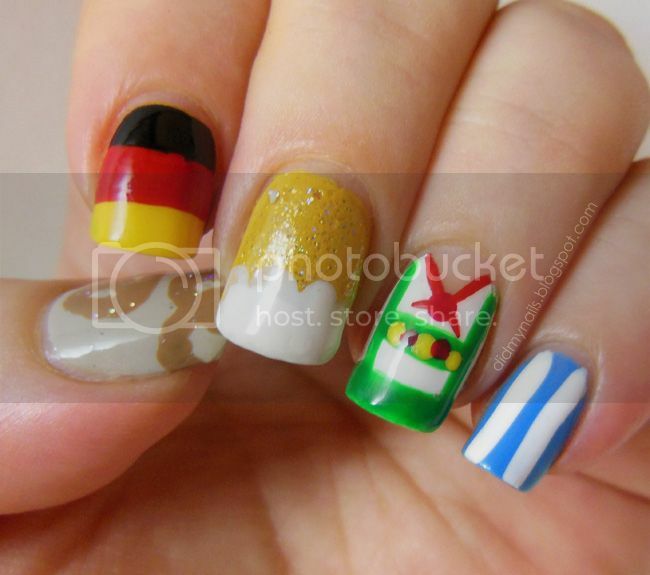 See more at Kelly's blog, Tuxarina! Hurtling along the holiday corridor, this week's TT theme is Thanksgiving-inspired nails, and I can't think of anything more "Thanksgiving-inspired" than a good old fashioned handprint turkey. Also, every American kid who's ever been 6. 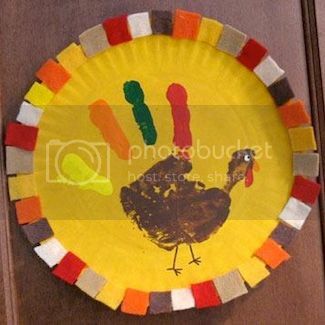 Every children's art class in America has no doubt been hard at work this past week perfecting their handprint turkeys with which to wow loving parents who still have last Thanksgiving's masterpiece on the fridge. I still remember the first time I made one, that awe-inspiring moment when the hand I'd traced onto construction paper, like, totally turned into a turkey before my very eyes. I was an artist! An artiste, even! So for today's Twinsie Tuesday manicure I decided to have a little fun with this time-honoured staple of American arts and crafts. 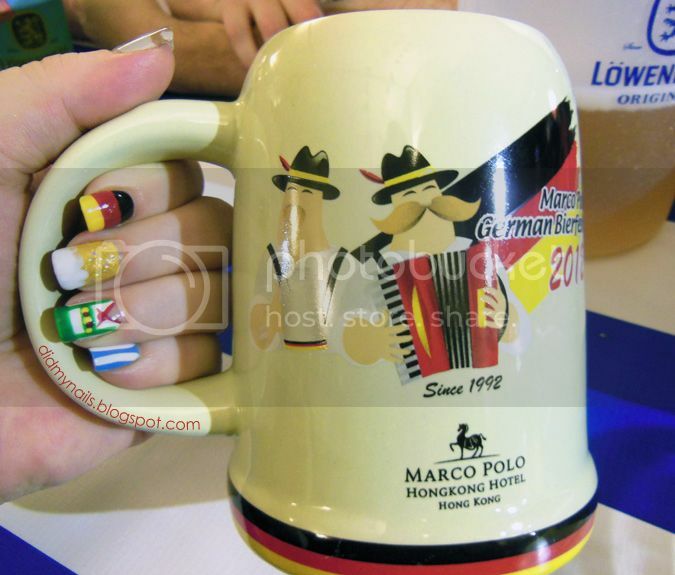 I started with a skittle manicure of some of my usual suspects: OPI Suzi Loves Cowboys (dk. brown), Jessica Mint Mojito Green, OPI Need Sunglasses? (yellow), Revlon Top Speed Fire (red), and OPI In My Back Pocket (orange). After that, things got a little silly. 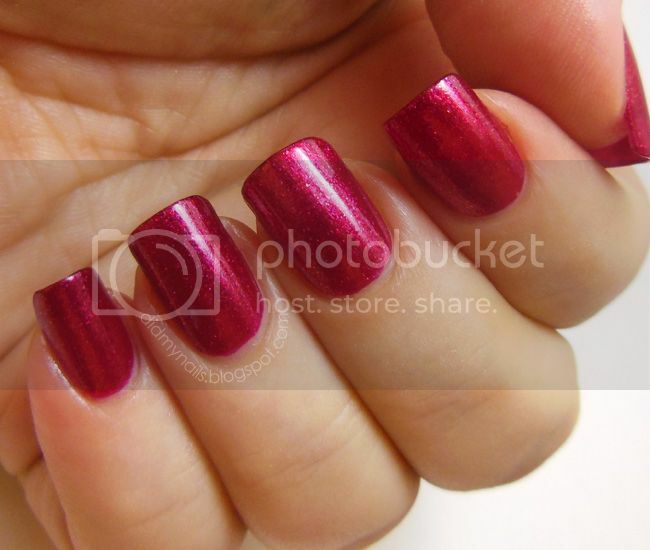 From the OPI Skyfall collection, You Only Live Twice is a beautiful raspberry magenta polish with a gorgeous glassfleck shimmer. I very nearly passed this one by, but I am so glad that I didn't! When my fellow Twinsie Anna invited me to do a guest post for her I was thrilled to accept! She always has such lovely swatches and layering combinations, does brilliant nail art, and she has thoroughly enabled my burgeoning indie addiction. Plus, she's a stone cold sweetheart. 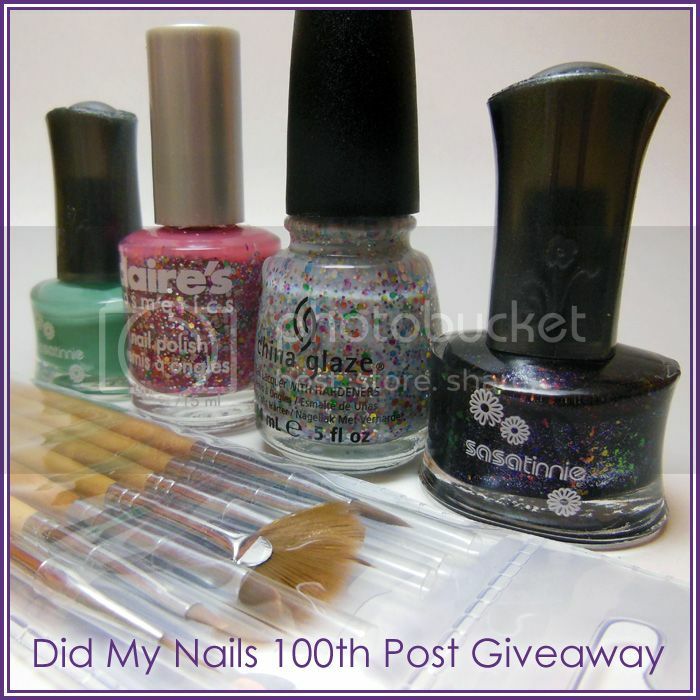 See more at Anna's blog, GoingtotheShowing! I have been bitten by the indie bug, and hard. In the past couple of weeks my first orders of indie polishes have come in, and I've been giddy and giggling and wide-eyed with delight. There may have been some dancing of the goofy variety; I can neither confirm nor deny this. I knew exactly which polish I wanted to start with, though, because it shares my middle name. This is Belle, by The Hungry Asian, and I love it. 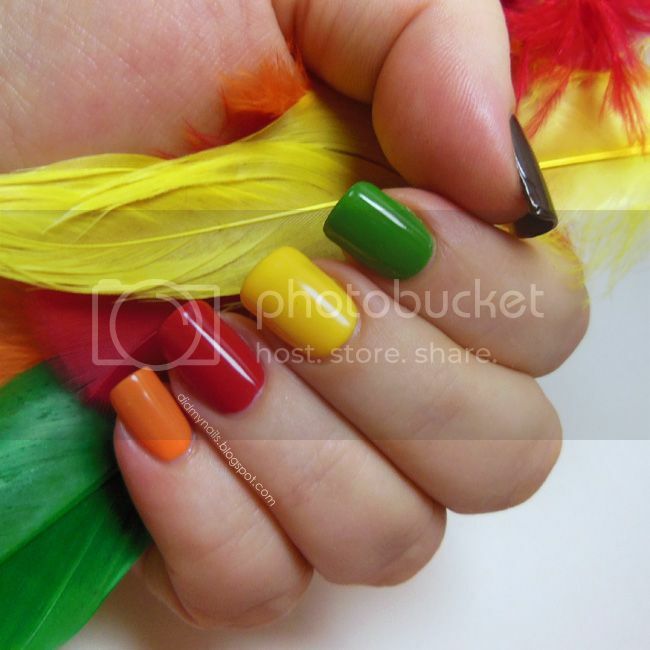 Today's TT theme is a 3D manicure. In trying to decide what to do for it, I was telling Husband all about Ash's magnificent mushroom and mentioned some of the ideas I'd had. I was standing in front of a planter of flowers with "that look" in my eyes, but knowing my schedule over these few days, he made a rare appeal for sanity. "Sanity," I thought. "That's so crazy, it just might work!" They may not stack up to a garden of flowers in bloom, but these nail studs were still something new to play with, and I'm actually pleased with the results! Today is Remembrance Day, also known as Armistice Day, Veterans Day in the US, and even simply Poppy Day for the flowers traditionally worn in Commonwealth nations on the 11th of November to commemorate and honour the fallen soldiers of WWI, WWII, and other military conflicts around the world. 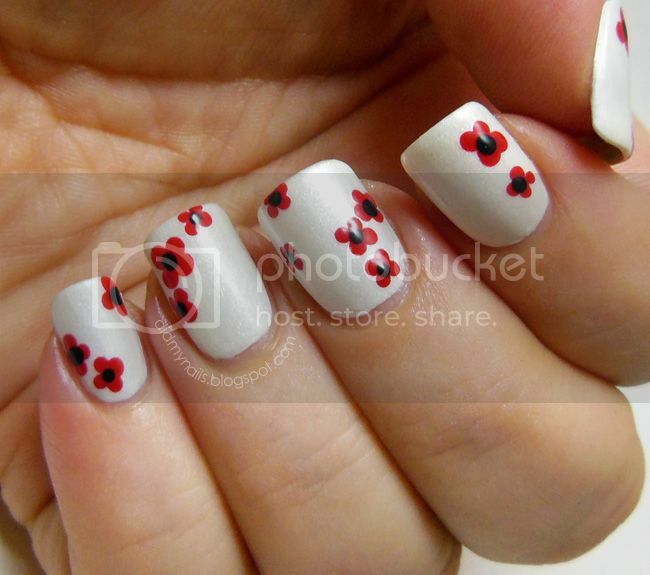 This morning, as a small tribute, I decided to wear poppies on my fingertips. I was so excited for the Zoya Gloss Collection. After seeing swatches of these three gorgeous jellies, I couldn't wait to get my hands on them! So, dreaming of all the deliciously squishy jelly sandwiches I would make, I stalked my local store's website for updates and was lucky (and speedy) enough to grab all three...Even staying on top of the new arrivals, I literally walked out with the last complete set they had. Phew! For my first jelly sandwich manicure from this set (and I suspect there will be many, may more ;p), I chose Zoya Paloma and OPI Teenage Dream. I love, love, love this combination! 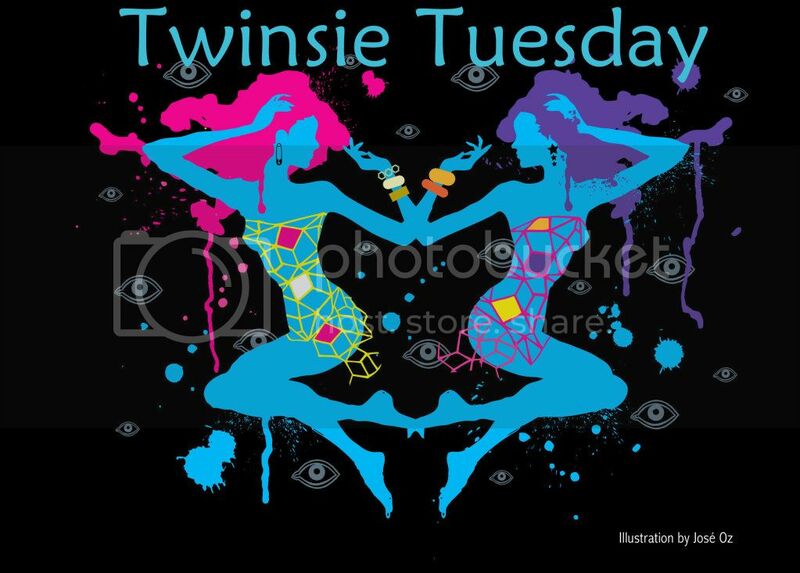 For today's Twinsie Tuesday theme our two resident Canadians, Ash and Anne, split the group in half, each giving her team an assignment. I actually don't know what Anne's group is doing yet (can't wait to find out, though! ), but we, the proud members of Ash's cadre, were assigned some winter-themed nail art. Winter is my favourite season for several reasons, chief among them being snow, so for today's winter-themed nails I decided to do some snowflake nail art. From Halloween nails, straight on to Christmas! After doing nail art for five days in a row, I was really in the mood for a swatch of new polish, and as luck would have it, the new China Glaze Holiday Joy Collection has arrived. I picked up a few of them, mostly the glitters (no surprise there), and first choice to try was easily Winter Holly. China Glaze Winter Holly is a gorgeously rich, forest green glitter polish. 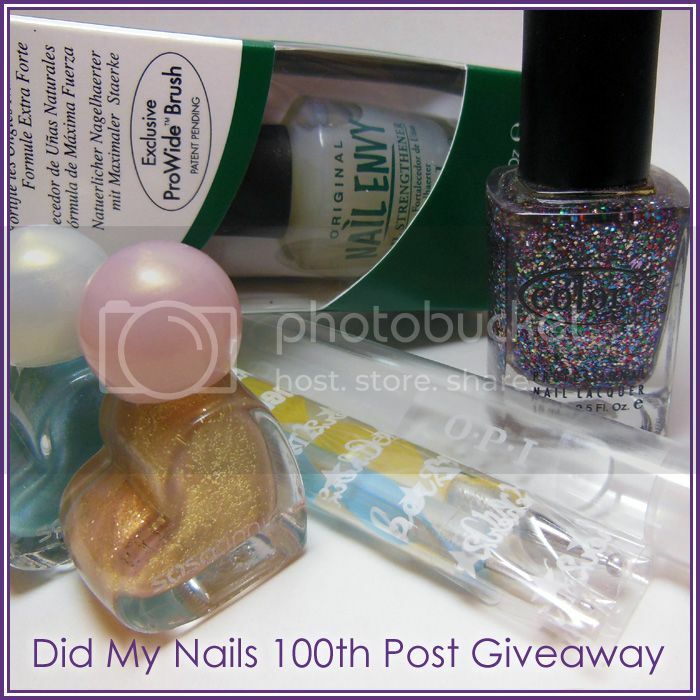 The glitter is so fine that it almost feels like sand and flows very smoothly onto the nail. Essentially matte without a top coat, it also has subtle glints of golden, holographic sparkle. Halloween may be over, but I had one more "spooky" nail art design in me. 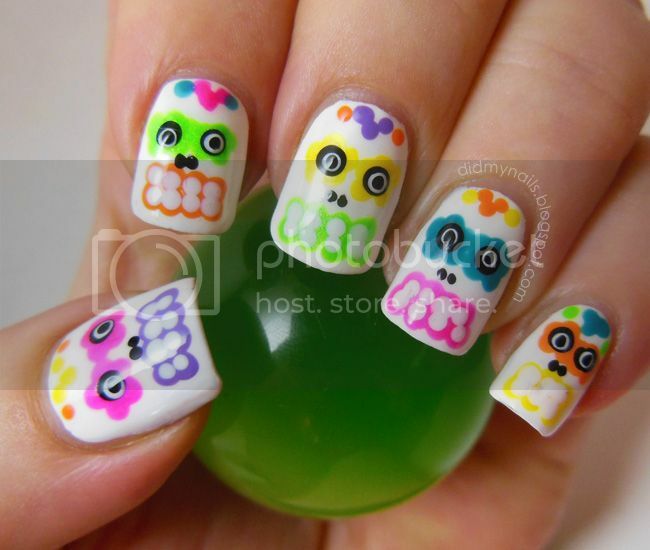 After seeing those adorable transfers in the OPI So So Skullicious mini-set I decided to try my hand at some sugar skull nail art for Día de los Muertos, the Day of the Dead. Traditionally a Mexican holiday, Day of the Dead is observed during the first two days in November to honour and celebrate those who have passed away. As part of the festivities and remembrances, decorative sugar skulls are among the offerings given to welcome the spirits of the departed.